Young Maori girl at Te Ariki Pa, near Lake Tarawera, Bay of Plenty. 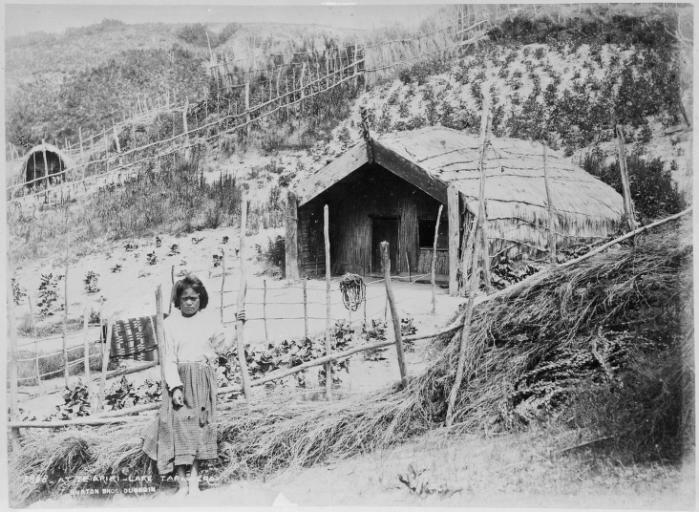 Shows her standing alongside a vegetable garden and a whare. Photograph taken in the 1880s by the Burton Brothers. Alexander Turnbull Library ref. 1/2-004619-F. In anticipation of my talk on Friday, I thought I would gain some insights into envirohistory NZ’s most popular posts. Fittingly, given that my talk is in the Manawatu, the most popular post (by far) has been The Scandinavian settlers of the Manawatu. The next most popular posts have been Maori gardening in pre-European NZ and Earthquake reveals the forgotten streams of Christchurch. Perhaps you might want to check them out.